Why would you want to train plants against the walls? And just what is the appeal of going through that trouble of vertical training and growing? There are several ways that this type of gardening can benefit you as a gardener. 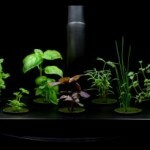 Vertical gardening is an idea that is taking off for several reasons, both in the hydroponic world and the traditional garden. Some have to do with practicality, such as space limitations, looks, and function. 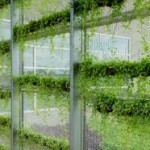 Vertical garden designs helps to save a lot of space. To grow plants in small corners you will want to train plants against walls of that limited space. 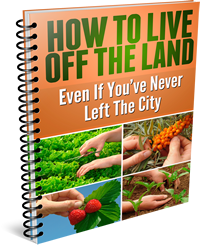 — so that you do not need to have a whole bunch of land to get some fresh fruits and vegetables or other produce. 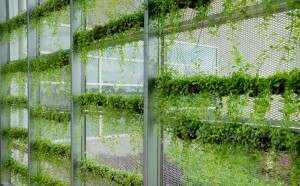 So vertical wall gardening brings that to the next level. Instead of spreading out plant pots throughout your space, or expanding your existing footprint in the yard, you go up. You can even save on your garden footprint by using floor standing frames to raise your plants up above the garden area. 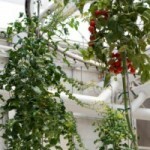 Another benefit of vertical gardening is that it promotes a tighter irrigation system. By allowing plants to be stacked on top of each other, you need less of that tubing or piping that needs to go around the garden to irrigate each plant. Efficient irrigation gives you less hoses to trip over and gives you less maintenance to do on a regular basis. Along with the space-saving idea, you’ll have to do less walking around to maintain and observe gardens. Whether you’re pruning, clearing debris out of the plant space, helping with supplementary feeding or just monitoring plants, you’ll be able to do all of these things more easily, because plants are right there in a more compact space. 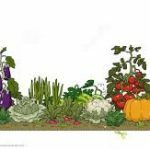 Many gardeners also like use vertical gardening to pursue decorative styles of top-down irrigation. One such style is where buckets are placed on an angle from a central stalk or trunk. The water gets routed from the top to the bottom, dampening each bucket on the way down. Apartments with little space square foot gardening or when even less space is available green walls vertical gardening can be a solution. These use much.… continued………. These are some of the design principles that the gardeners to consider more efficient and good-looking hydroponics garden setups.